Do You Want a Coach? Or a Mentor? Are you thinking about getting a coach? Coaching, mentoring, and peer coaching terms are used with wild abandon. So, are you offering coaching, mentoring, or peer coaching? What’s the difference? Should agents get a coach–or a mentor? Have you defined those terms? Did your potential coach explain the program? Should I get a coach or mentor? Those are questions new agents (and seasoned agents) ask themselves over and over. This blog is excerpted from my eBook, What They Don’t Teach You in Pre-License School. This advice is given to the agent entering the business. What Do Those Coaching Choices Mean to the New Agent? In this blog, we’ll tackle the pros and cons of getting a coach. 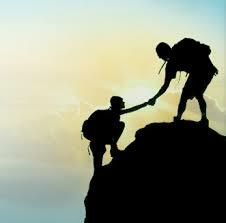 In a later blog, we’ll look at mentoring. What about Getting a Coach? I hope your manager will become your accountability coach. 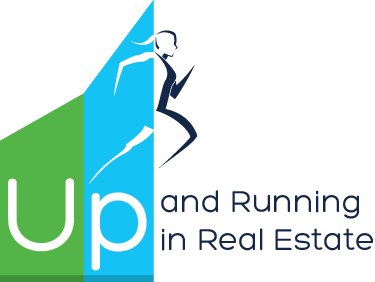 In fact, a recent survey by Inman Select found that one of the biggest pieces of advice for new agents’ success was to get a coach. But, many managers promise to ‘coach you’. However, that quickly becomes a ‘got a minute’ answer man function instead of a focused, linear, goal-oriented action coaching. You don’t need a coach just for answers. You need a coach to hold you accountable to your goals and action plan. The specific program should be highly organized and precisely out­lined with checklists and systems. Ask, “What system are you going to use to coach me?” You need a specific game plan, because you are new. You have no history. Managers/coaches: How would you answer the questions above? Do you provide evidence? How competitive are you with your defined programs? Treat getting a coach or a mentor as an employment issue. Create good questions and interview. Armed with the advice above, you’ll make the right decision for you. Save Time Interviewing. Help Sort the Serious from the Semi-Pros! Are you spending hours educating would-be agents on the business? If so, you need this eBook! In 282 pages, Carla Cross provides answers to hundreds of questions agents have. Help your interviewees get the advice they need, find dozens of questions to ask, and use checklists to hit the ground running before they are licensed! Check out What They Don’t Teach You in Pre-License School. 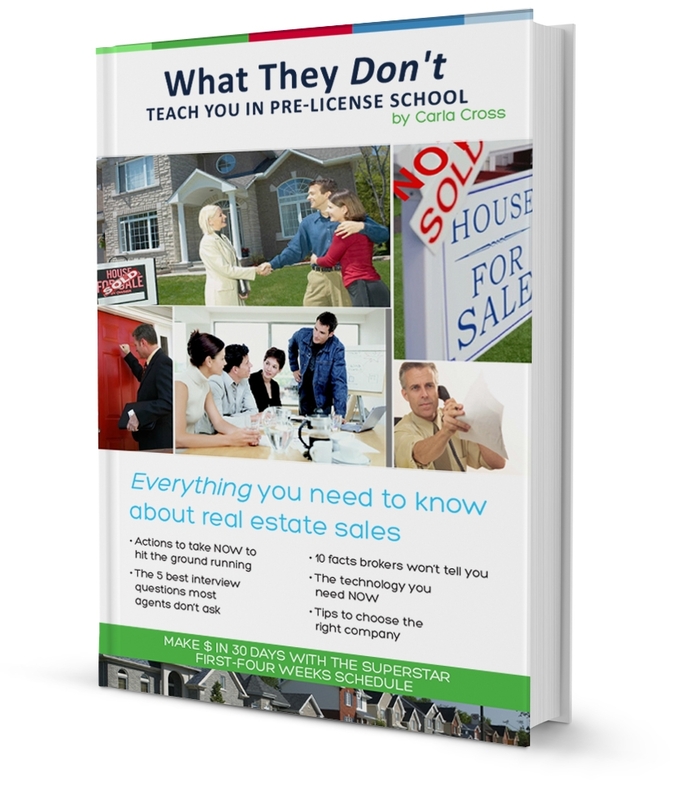 Managers: Use the checklist on what to do in pre-license school to hit the ground running to ‘test’ your best interviewees and get them prepared to sell real estate FAST when they are licensed.